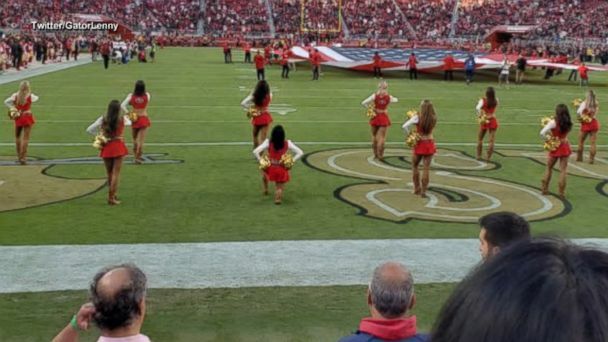 Follow the latest National Anthem Protests news, videos, and analysis from ABC News. 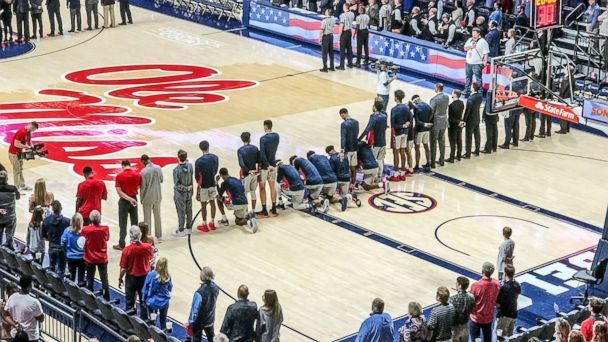 The players wanted to demonstrate against hate groups spreading racism, Ole Miss head coach Kermit Davis said in a post-game news conference. 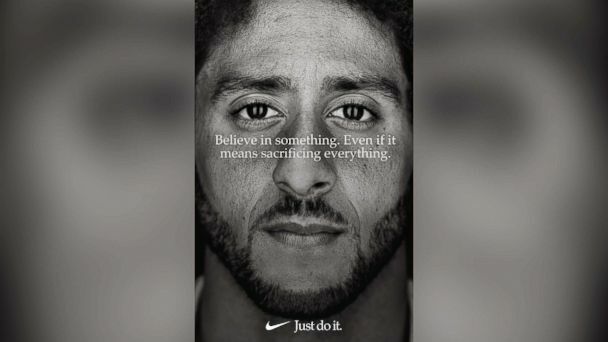 The store owner slashed prices for Nike in response to Colin Kaepernick's "Just Do It" campaign for the brand's 30th anniversary. 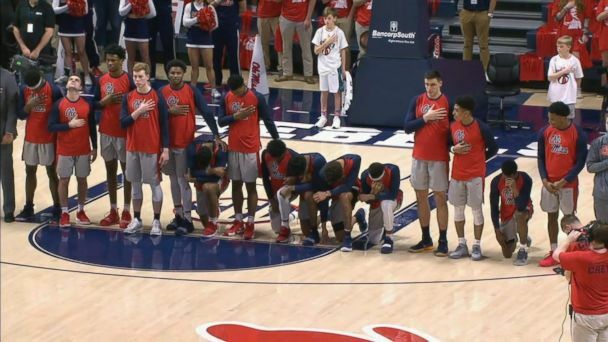 At this time, it remains unclear as to which cheerleader knelt while the rest of the squad stood in formation during the national anthem. 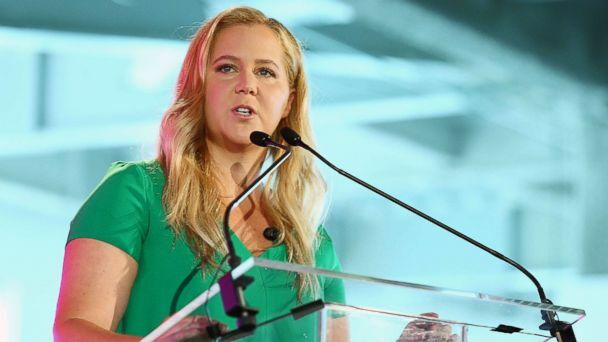 Amy Schumer followed in the footsteps of Rihanna in saying she would not support the NFL or its advertisers in an effort to support Colin Kaepernick. 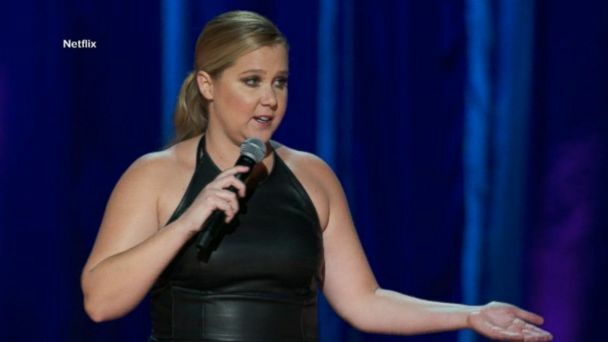 Trump said viewership would rise if players "stood proudly" for the anthem. 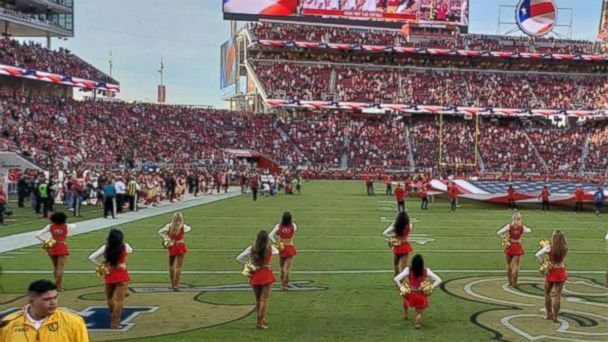 Former NFL players Colin Kaepernick, Eric Reid got standing ovation at US Open. 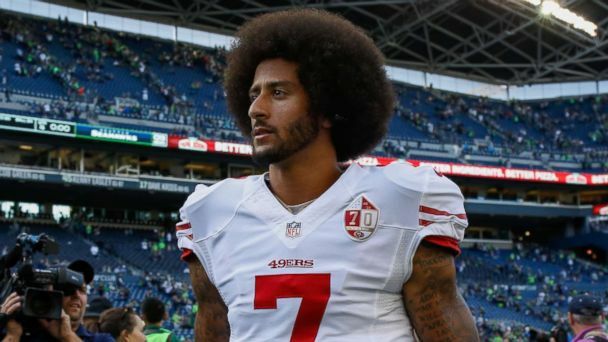 The Patriots quarterback spoke about the controversy with Oprah. 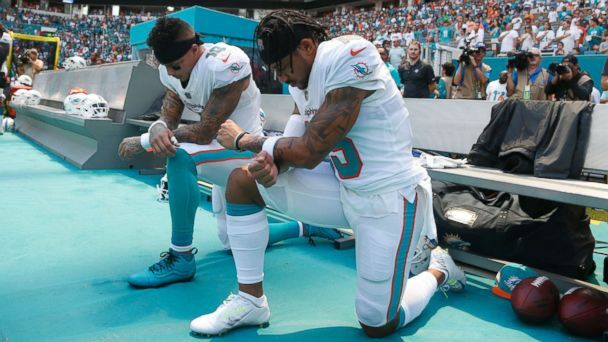 President Donald Trump took to Twitter this morning to lash out at the National Football League's decision not to force players to stand for the national anthem. 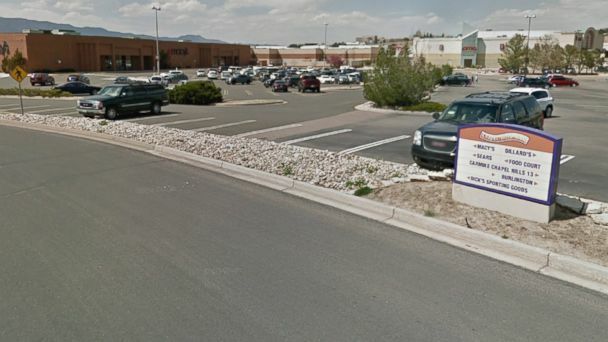 Creator Shonda Rhimes and the cast celebrated their 300th episode.